5 things to say to/do with children who say "I'm bored....."
Last week I asked *Justine how her day had been and she said "boring". Nothing at school had been interesting. Nothing at home. She would be happy if she could have ipad time, but that wasn't an option - so life was boring, boring, boring. a) As adults some of us are very busy ourselves and would love a little time to be bored - it doesn't feel like something to complain about! b) Some of us remember childhoods in which saying you were bored led to instant punishment. It's no wonder that adults often respond unsympathetically to bored children: "fine then, you can do X (job) and then you can really be bored". But here's an important question - Is there anything we can do to actually reduce how often children reporting being bored in the first place? Yes. And it doesn't usually mean providing more toys, games or activities. Let's look at why kids get bored in the first place. Essentially this is about skill gaps. They do not have the skills required to entertain or challenge themselves. There are a few reasons for this skill gap. This generation are often fast processors. The speed of visual information and other auditory information which comes at us online in this day age is unbelievable. It's not surprising that kids are learning to cope with the slower offline speed of life. Some children also have lives in which there are not always a lot of activities to do. Once upon a time some children did have the option to be outside, in the creek etc - in this era and living in cities with safety concerns, some children can't do as many of these activities. Some children aged around 10-12 year olds report being bored frequently as they have moved beyond purely creative play but yet haven't found replacement activities. Some children in a school environment find school boring when tasks don't match their developmental level. Some children are just less creative, more extraverted/need more outside stimulation and generally less skilled at challenging themselves than others. Unfortunately for kids like this, entertaining and challenging yourself is an essential life skill - for home and school. The good news is that we can help them get better at this. We can help kids learn to entertain and challenge themselves. Here are some ideas about how to do so. "For the next five minutes, I'd like you to make a list of activities you could do today - come back and show me when you are finished"
"I'm going to sit with you and together we will brainstorm all the things you might do this holidays and we will put it up on the fridge"
"Let's look up online ideas for rainy days/ideas for 10 year olds and I'm going to print it out"
"Get all our board games out and put them on the dining room table for today so you can see them"
"I will start an activity/game/idea/task with you. And then you will finish it yourself"
"If you start x activity/game, I'll come over and look at it with you in X minutes"
Option 3. Empathise and normalise. Sometimes children need to hear that filling in time, entertaining and challenging ourselves as humans IS not easy. They just need a bit of empathy. This can be a quick comment. Or sometimes asking an extra question can open up an interesting and helpful conversation. "Sorry that you are bored, that's not a fun feeling." "Did you know everyone feels bored sometimes? Me too." "Do you think it's just being bored, or do you have another feeling as well? Like lonely? or sad"
Option 4. Help children take activities/tasks and make them more interesting or challenging. Children don't always need an extra task or activity, but sometimes just need help to see the existing tasks or activity options in a different way. Children sometimes need help with this - both at school and at home. "Could you do it differently to make it more interesting"
"Could you challenge yourself to do that task faster?" "Could you teach someone else about it?" "Could you think about it from a different perspective?" "Please write these ideas down so that when you next do that activity, you can go to this list and use it to make the activity more interesting"
Some children will loll around waiting for gaming/device/technology/screen time to start again, being bored but refusing to do anything about it. The problem with this (other than it being irritating for us as adults) is that they are not actually learning to challenge and fulfill themselves in ways other than via gaming, which means over the long term more problems occur. "Sorry mate but you can't sit there doing nothing. You need to pick an activity that we've discussed and do it for at least x minutes, and then if you still don't want to do it at that point then you can stop"
Let me say - it's perfectly fine for us as adults to sometimes "ignore" the "I'm bored" comments and let children sort themselves out and deal with the boredom themselves. There are no rules which say that children MUST be helped with learning to entertain or challenge themselves. Often they will manage it and find activities to do if we stay out the way. However, if we do have time to do options 1 - 5 even just occasionally - then it can help develop the "entertain and challenge yourself" skills which will help them over the longer term. Does a child you know need some extra help understanding frustration and managing big feelings? 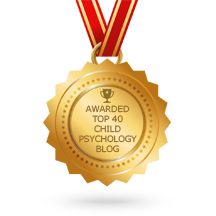 We've just uploaded an animated 4 minute video to help children learn to calm down fast to our calmkidcentral.com site. Go to calm Kid Central (www.calmkidcentral.com) now to have a look. Our child psychologists are also online every day to answer your questions about your 4 to 11 year old child’s behaviour, emotions or how to support them in a tricky situation. Learning to get better at friendship skills.